NOVA SCOTIA, Canada -- What would you think if you saw the words 'Grab Her' on a license plate? Someone who saw that in Canada complained to the Department of Transportation, but it turns out that the plate is not an insult. 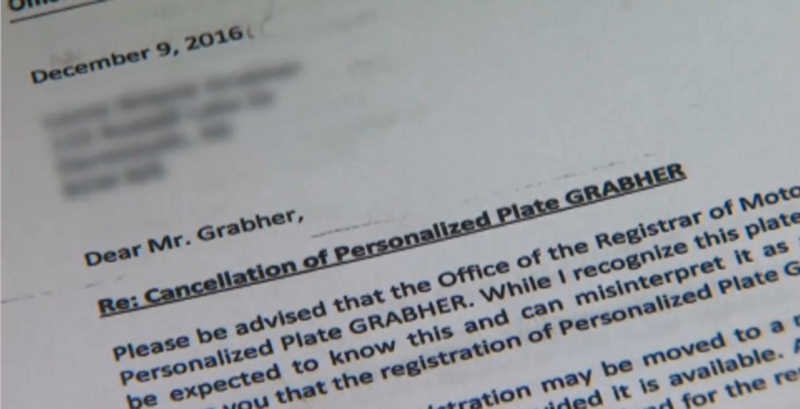 The plate spells out a driver's last name, but that did not stop the Department of Transportation from canceling the plate. "When the plates first came out, I was so excited about it -- this is what I wanted to get for my father. My father put it on the motor home, and he traveled to many states, he traveled across Canada...nothing was ever said," said Lorne Grabher. The DOT says the plate is misogynistic and promotes violence against women. The driver will appeal the decision to cancel the plate.